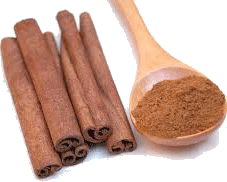 You must use CEYLON CINNAMON and not cheap Cassian Cinnamon, which can cause liver and kidney damage if used daily. 1. ARTHRITIS: Arthritis patients may take daily, morning and night, one cup of hot water with two teaspoons of honey and one small teaspoon of Ceylon Cinnamon Powder. If taken regularly, even chronic arthritis can be cured. In recent research conducted at the Copenhagen University, it was found that when the doctors treated their patients with a mixture of one tablespoon Honey and half teaspoon Cinnamon Powder before breakfast, within a week, 73 out of 200 patients were totally relieved of pain. The remaining experienced much less pain. 2. BLADDER INFECTIONS: Take two teaspoons of Cinnamon Powder and one teaspoon of honey in a glass of lukewarm water and drink it. It destroys the germs in the bladder. 3. CHOLESTEROL: Two tablespoons of honey and three teaspoons of Cinnamon Powder mixed in 16 ounces of tea water, given to a cholesterol patient, was found to reduce the level of cholesterol in the blood by 10% within two hours. If taken three times a day, any chronic cholesterol was cured. 4. COLDS: Those suffering from colds should take one tablespoon lukewarm honey with ¼ teaspoon Cinnamon Powder daily for three days. This process will cure most chronic coughs, colds, and clear the sinuses. 5. HEART DISEASES: Make a paste of honey and Cinnamon Powder, apply on bread, instead of jelly and jam, and eat it regularly for breakfast. It reduces the cholesterol in the arteries and saves the patient from heart attack. Regular use of the above process relieves loss of breath and strengthens the heartbeat. In America and Canada, various nursing homes have treated patients successfully and have found that as you age, the arteries and veins lose their flexibility and get clogged; honey and Cinnamon revitalize the arteries and veins. 6. IMMUNE SYSTEM: Daily use of honey and Cinnamon Powder strengthens the immune system and protects the body from bacterial and viral attacks. Scientists have found that honey has various vitamins and iron in large amounts. Constant use of honey strengthens the white blood corpuscles to fight bacterial and viral diseases. 7. INDIGESTION: Cinnamon Powder sprinkled on two tablespoons of honey taken before food relieves acidity and digests the heaviest meals. 8. CANCER: Research in Japan and Australia has revealed that advanced cancer of the stomach and bones have been cured successfully using honey and Cinnamon. Patients suffering from these kinds of cancer should daily take one tablespoon of honey with one teaspoon of Cinnamon Powder for one month three times a day. 9. WEIGHT LOSS: Daily in the morning one half hour before breakfast on an empty stomach, and at night before sleeping, drink one tablespoon of honey with one teaspoon of Cinnamon Powder boiled in one cup of water. If taken regularly, it reduces the weight of even the most obese person. Also, drinking this mixture regularly does not allow the fat to accumulate in the body, even though the person may eat a high-calorie diet.